I fished with Andy again a couple of days after Chew on the river Wye. The river was low and clear making it difficult again. I put Andy into the swim that normally produces a few fish whilst I wandered down to a swim I had not fished for a while. Soon Andy was into a nice barbel which he thought it was small however on lifting it out of the water it looked OK. It was just over 8lbs. I was struggling but managed to land a couple of barbel as did Andy. 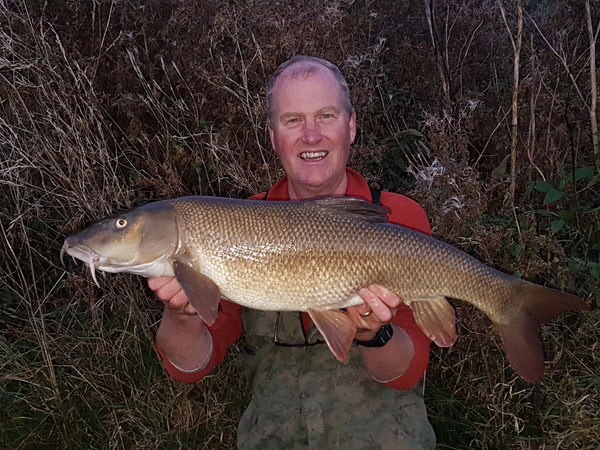 The sun was just starting to set when the rod bounced around in the normal 3 ft twitch and I started to play a good barbel that kept low in the river taking line occasionally. 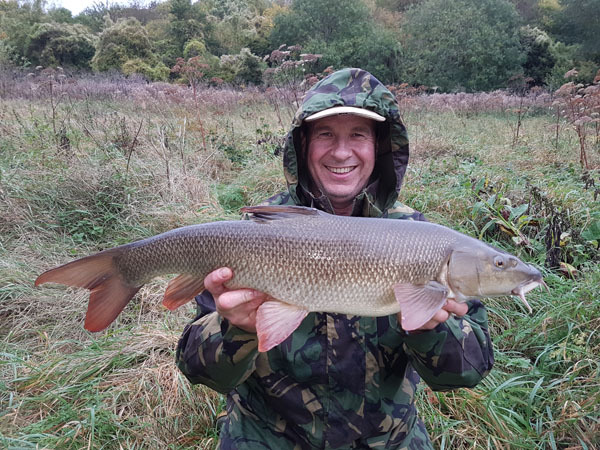 It felt like a good barbel and took a good few minutes to bring to the net. On the scales it went 10lbs 8oz and my first Wye double, not that I fish the Wye that often normally just baiting the swims up prior to the clients turning up or fishing on for the odd hour or so if they leave early. This entry was posted on Monday, November 6th, 2017 at 9:31 pm	and is filed under Uncategorized. You can follow any responses to this entry through the RSS 2.0 feed. Both comments and pings are currently closed.